Who’s behind ItsLavishBitch, Instagram’s richest troll? Last year, we were introduced to Param, a high-living, mega-wealthy San Francisco teenager who apparently really loves Starbucks, throwing money away, and Instagram. After his account got noticed by the blogosphere, he was very quickly – and aptly – named Instagram’s biggest jerk. So, who in the hell is he? All sources point to 18-year old, Param Sharma a.k.a. 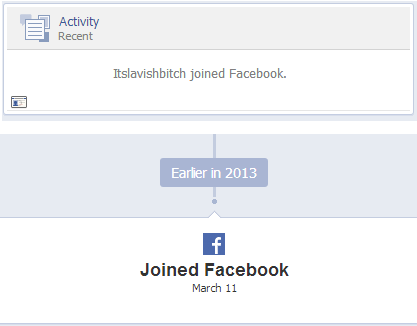 Lavish P. But Lavish has come a long way since first being dubbed Instagram’s biggest jerk way back in January of 2013. The 18 year-old has since become something of an internet anti-hero by trolling celebrities, chronicling his “lavish” lifestyle, and releasing a rap single called, I Get Everything I Want. Whether or not you believe Lavish’s “daddy is on Forbes richest” isn’t so relevant anymore. This 18 year old is accomplishing something close to Internet infamy. And 400,000 Instagram followers love him for it. In case you haven’t followed Lavish P, we’ll fill you in on his brilliant social media exploits.Then, we’ll do a little catfishing to get to the bottom of the mythos surrounding Lavish P.
1. Posted crazy publicity stunts to Instagram. Real or not, Lavish got some attention for spreading the wealth. 2. Trolled A-List celebrities- Sharma has been trolling celebrities like Soulja Boy, Rihanna, and the Kardashians from the get go. 3. Continues exploits on Twitter. Lavish calls out SoujaBoy on Twitter and receives a personal response. Tweets it. 4. Debuted rap single. Under the name Lavish P, Sharma debuted a single called I Get Everything I Want. He was courted for an intro by rapper Gucci Mane. 6. Gets 90 days in prison for stealing iPhone. That’s right Sharma went to jail for selling a stolen iPhone on Craigslist. Sharma’s lawyer told Buzzfeed that the iPhone was listed on Craigslist as a favor to a friend. But time behind bars wasn’t easy for Lavish. ABC News reports that the deputy’s office somehow lost Sharma’s files, and he ended up in spending two weeks in the psychotic ward. But how do we actually know that Param Sharma is the author of itslavishbitch? The first clues are brought to us by Catfishing 101: His Facebook account was created on March 11, 2013 (and he’s only been on Instagram since January 2013). He doesn’t have any friends (or at least doesn’t display his friends tab). There are no personal comments on his wall from people that appear to know him. There are no photos other than those pushed from Instagram. This guy apparently won his 15k giveaway, but we were unable to contact him in any way. Using Google Search by Image, no other photos with his likeness surface, however, so this isn’t necessarily a faked identity. But we still have reservations over this actually being a kid throwing dollars around. Digging a little deeper, his personal website was set up through an organization called Domains By Proxy – a person’s name isn’t listed, which is sort of strange for a teenager (or course, so is pouring Pellegrino into a toilet and holding contests to give away thousands of dollars to random Instagram followers). Domains By Proxy is a service that lets you set up websites and keep any and all personal data out of the process … but given that Param is clearly courting attention, the choice is strange. On the other hand, if he is as wealthy as he’s purporting to be, keeping this type of data safe makes sense. It’s a Web-savvy move. 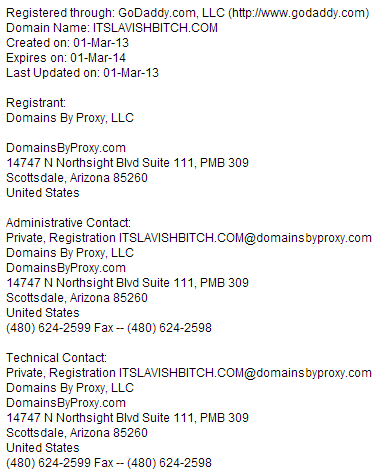 His site was also set up in March, and his Twitter account in late January. So within the span of approximately two months, “Param” went on a tear getting his social media game on. Common sense says this isn’t real: What teenager suddenly realizes, “Oh damn, this Internet thing seems to really be stickin’ around!,” joins every account out there – and sets up a personal site – within the span of two months … and follows up with a spree of wealth-bragging, as well as contests to give away his own his parents’ money? Obviously not normal – but “Param” isn’t your average guy. Still, this is far, far outside the bounds of normal and reeks of something else entirely – there’s a scheme of some sort here, right? After a little more searching, we found a site that claimed Param’s full name is Param Sharma (he’s also identified there as the son of an Axis Bank exec. which by all accounts seems false). Image searching that name does in fact bring up an image from the aforementioned Instagram account (holding Pellegrino, no less). This YouTube account also appears to be the same guy. As does this Formspring account. There’s also this Facebook account and this Twitter account, which match the descriptions of Param living in California, but there’s not enough additional information to draw any conclusions. There is a Twitter account with that handle, which shows a photo of Param (which we’ll call him) walking out of what’s to be believed is his home. The Instagram account appears to no longer be active, though many forum discussions talk about using this account to “expose” Param. So we have a few possible conclusions, but one seems the most likely: Param is real, and maybe even extremely wealthy – but he’s running separate social media accounts from his actual ones, highlighting (or inventing) his more ostentatious activities. The entire “ItsLavishBitch” personality isn’t the real deal. This could very easily just be some kid who wanted to get some social media spotlight and engage enrage a few thousand people. And if so, then well done, sir. Well done. Update 11-5-2014: This post was originally written by Molly McHugh on April 5, 2013 and has been revamped to include new facts about itslavishbitch. DT writer Joe Donovan contributed to this article.